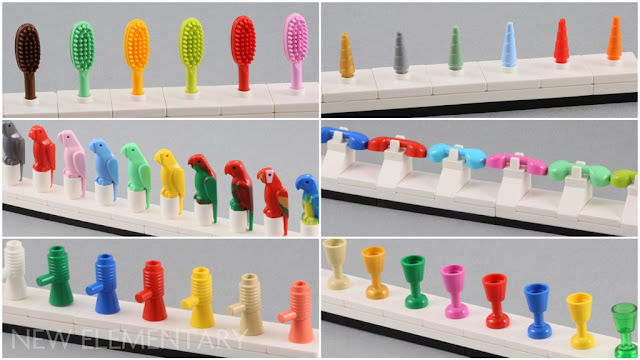 LEGO parts are fun at the best of times, but line up the same LEGO part in a variety of colours and suddenly you have a host of excited youngsters spotting ‘haves’, ‘wants’ and ‘needs’ amongst the collections. 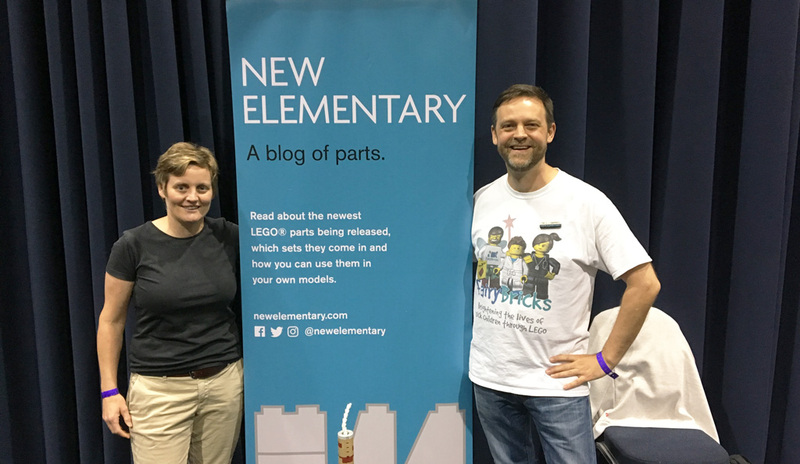 I brought a few things along to the New Elementary display, some colour collections of the same parts and then a couple of MOCs whose sole purpose was to display some colours within the build. This post is all about the colour collections, well mainly it is eye candy for colour fans. My colour collections are by no means exhaustive but I think they look quite pleasing and we lined them up along the front of out display tables at child eye level to encourage fans to take a closer look. Talking about LEGO colours can be complex in some ways, no least because LEGO has a different naming system to the more commonly used Bricklink system and then add in the LEGO Colour IDs as numbers and the fact that colours can change and be retired…well, you almost need a huge chart or an entire Flickr Photostream to try and keep this all straight (thanks Ryan). Parrots (Element ID 2546) first appeared in Yellow [BL]/Bright Yellow [TLG] in the 1989 set, 6274 Carribbean Clipper. The only set with a Black parrot is the 1990 set 6081 King’s Mountain Fortress, making it the most expensive colour of parrot. Since then there have been a great range of colours with the Medium Blue, Medium Green and Pink [BL]/Light Reddish Violet [TLG] all coming from various Belville sets in the early 2000s. See the full range of available colours and their current prices on BrickLink. The latest parrots are actually a new mould (Element ID 27062, although on BrickLink each colour is separately listed) that appeared last year in Marbled Blue and Yellow in 10255 Assembly Square and also in Marbled Red and Green in 60153 Fun at the Beach, although I believe that this mould actually made its debut in the Pirates theme back in 2015. The phone handset (Element ID 6190) first appeared in a few Belville sets in the mid-1990s making its debut in the unlikely colour of Medium Green (unless this was a popular telephone handset colour in Denmark at the time). Light Bluish Gray [BL]/Medium Stone Grey [TLG] only appeared in one 2003 set, 7044 Rescue Chopper and Dark Bluish Gray [BL]/Dark Stone Grey [TLG] is by far the most commonly used colour, in over 120 sets. See the full range of available colours and their current prices on BrickLink. Interestingly I noticed a significant number of Bright Light Orange [BL]/Flame Yellowish Orange [TLG] handsets for sale, but which set are they in? I’m assuming it’s a recent set that I’ve missed somewhere. The loudhailer (Element ID 4349) is also utilised as a ‘blaster’ weapon in Space or LEGO Star Wars sets and appears in over 400 sets in 10 different colours. Salmon [BL]/Medium Red [TLG] only appears in one Scala set from 1997, 3290 The Big Family House. As far as I know, the Tan [BL]/Brick Yellow [TLG] and Green [BL]/Dark Green [TLG] loudhailers do not appear in any official set. See the full range of available colours and their current prices on BrickLink. My favourite loudhailer, not pictured above, is the dual moulded Light Bluish Grey and Orange loudhailer that is carried by Chief Wiggum as one of The Simpsons CMF series in 2014. The goblet (Element ID 2343) first appeared back in 1986 when it smashed onto the scene in White, Light Gray [BL]/Grey [TLG], Black, Red [BL]/Bright Red [TLG] and Blue [BL]/Bright Blue [TLG] across a variety of themes. Overall the goblet has appeared in 15 colours within 370 sets. The Trans-Green version is in only one 2003 set, 4720 Knockturn Alley, and Lime [BL]/Bright Yellowish Green [TLG] (not pictured above, I need it!!) is only in the 2017 set 76069 Mighty Micros: Batman vs. Killer Moth. I believe the Tan, Green and the Trans-Yellow did not actually appear in any official sets. See the full range of available colours and their current prices on BrickLink. The Briefcase (Design ID 4449) comes in a surprising 11 colours and was first carried back in 1983 in 7824 Railway Station in both White and Brown [BL]/Earth Orange [TLG]. The Dark Pink [BL]/Medium Reddish Violet [TLG] appeared within two Friends sets in 2015 whilst Yellow also only appeared in two sets in the mid-2000s: 8654 Scuderia Ferrari Trick and 7214 Waterplane. Price-wise, the most costly colour is a bit of a toss between White, Medium Blue or Yellow depending on your country and whether you buy used or new. See the full range of available colours and their current prices on BrickLink. 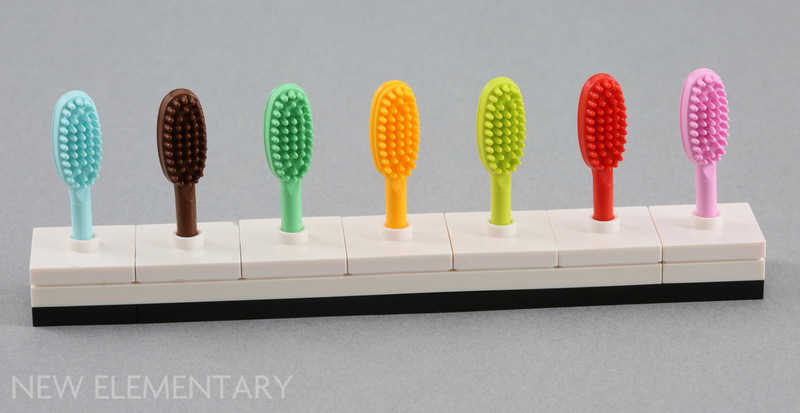 One of my favourite collections are the Ice Cream Scoops (Design ID 6254) appearing in 70 or so sets in 11 different colours. You may have been able to guess that the first to appear was the vanilla flavour in White, served up in an appropriately named 1995 Belville set, 5830 Fun-Day Sundaes. The 1998 Scala set 3116 Cool Ice Cream Cafe also served up mint-flavoured in Light Green and er…salmon-flavoured in Salmon. See the full range of available colours and their current prices on BrickLink. The Unicorn Horn (Design ID 89522) actually appears in at least 46 sets and in a surprisingly wide rage of colours, nine to be exact. As you can see, I am missing a couple as Dark Purple [BL]/Medium Lilac [TLG] appears in a couple of LEGO Nexo Knights sets this year, and White appears in both 21308 Adventure Time and 71040 Disney Castle. I actually have a White as I remembered that the Unicorn Girl from CMF Series 13 has one but it seemed a bit rude to remove her unicorn for a photo-op. See the full range of available colours and their current prices on BrickLink. 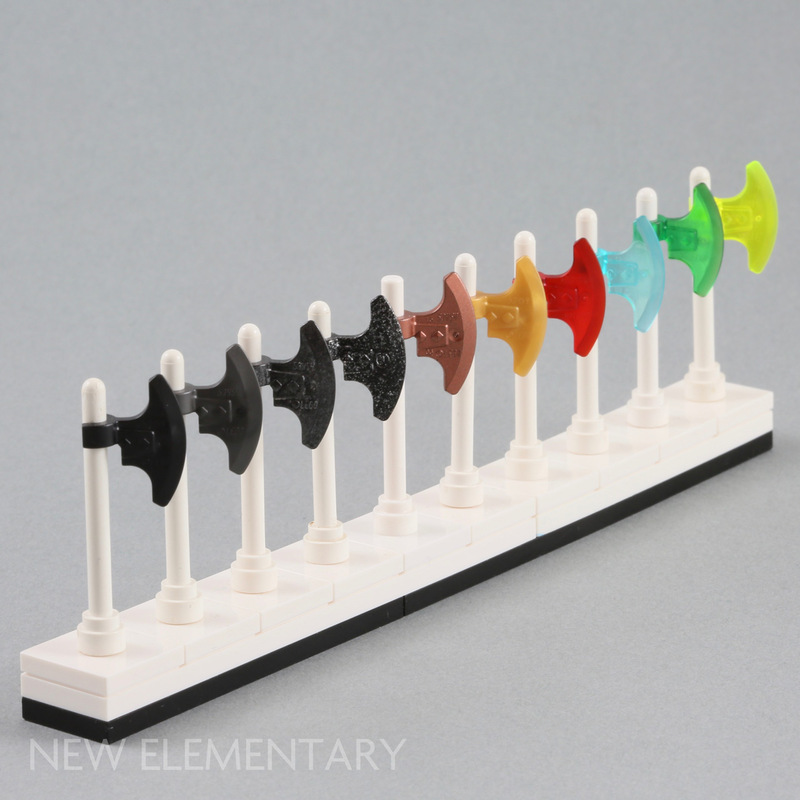 The clip-on Axe Head (Design ID 53705) is in well over 100 sets and 13 different colours; good going for the pacifist LEGO company! Interestingly the first colour on the scene was Speckle Black-Silver [BL]/Cool Silver, Diffuse [TLG], which appeared in five different Viking-themed sets, all in 2005. 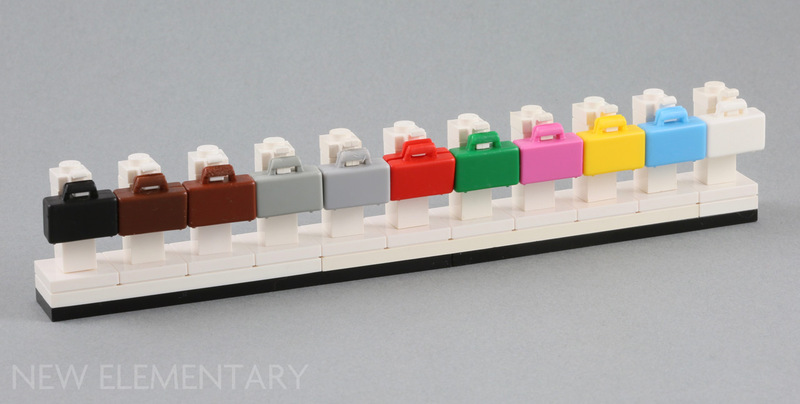 Six colours only appear in one set each - see the full range of available colours and their current prices on BrickLink. Brick, Modified 1 x 1 with Studs on 4 Sides (Design ID 4733), sometimes called Daleks, appear in over 400 sets in 13 different colours. This part appeared for the first time in 1985 in White, Black and Blue in least six sets that year. Brown only appeared in one 1999 set, 7121 Naboo Swap, and is sadly missing from my line-up. Huw Millington from Brickset kindly pointed out that I was missing a Red... well, these have never appeared in sets! There are some currently listed on BrickLink though - see the full range of available colours and their current prices. Hairbrushes (Part 3852) come in two variations. The common short 10mm handle appeared from 1994 onwards and the longer 14mm handle appeared only in Brown between 1979 and 1993. I'm missing a few here, namely Medium Orange [BL]/Bright Yellowish Orange [TLG], Dark Pink, Pink and Medium Azure. See the full range of available colours and their current prices on BrickLink. I didn’t actually try to collect these and so have no plans to get the others but minifigure utensils are very popular with children so I included these in the display. Come back tomorrow for more of Elspeth's colourtastic collections! Should read "Swamp" not "Swap"
I know, it's like an infectious disease ;-) There a few collectors with amazing LEGO colour collections on FLickr that I love to look at too. I actually used the light-bley phones for the outriggers holding the front wheels on my minifig-scale Dodge Tomahawk prototype motorcycle, and I seem to remember having trouble locating a pair in New condition. The black ones I used for my Bat-Tomahawk were a bit easier to acquire. You're missing an ice cream scoop in either Light-Green or Medium Green, if BL inventories are accurate. And I am painfully aware of the rarity of red 4733's, as I originally intended to use 26 of them in my LEGO Store. Not only were they too expensive to justify, but there weren't even enough of them available back in April/May 2014 when I was hoping to buy them. Considering black parrots, pricing doesn't seem to be based purely on rarity, but largely by demand. The brown parrot is basically also only found in one set (or a set in two variants), but it's still sold for a fraction of the price. love the array of colours!! btw I was wondering if you know the name of the new Lego colour that is coming in December 2018? 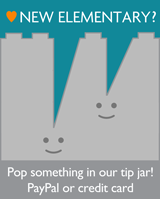 It's seen in set 70828, a Lego Movie 2 set. It can bee seen on the side of the party bus - it looks like a sort of coral colour? I asked Lego themselves but they said they couldn't say anything until it is officially released.